Des Moines, Iowa – An enthusiastic crowd of pyrotechnics fans gathered around Governor Branstad’s desk in the state capitol Tuesday morning. 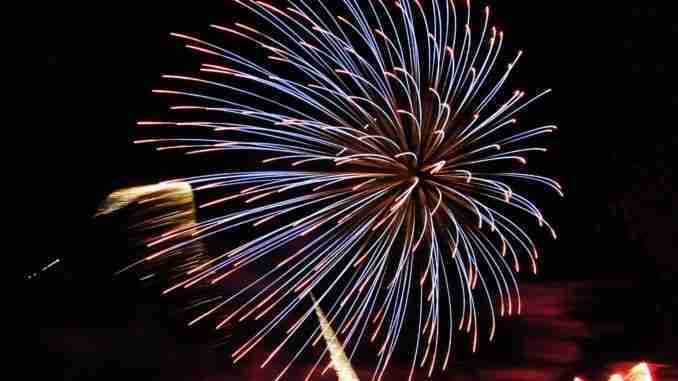 The governor signed a bill into law that makes it legal to sell AND set off fireworks around the Independence Day holiday and at year’s end to celebrate events like Christmas and New Year’s. Branstad praised key legislators who’ve been pushing for this law, then the crowd stood silently as Branstad used multiple pens to sign the official copy of the bill. Novelty items like sparklers and snakes have been legal to sell and ignite in Iowa, but all other consumer-grade fireworks like Roman candles and bottle rockets have been illegal in the state of Iowa since 1938. Iowa now joins the vast majority of states which allow adults to buy and light fireworks.